I know what you must be thinking. Why does she keep using apricots and blueberries? In my defense, apricots were actually the original main fruits in this recipe. The accent fruit, the cherries, were not looking too hot in the grocery store, and I have a slight aversion to them. I'm not sure exactly what it is about them, but I would rather forgo dessert, which is saying a lot, than eat something with cherries in it. For the longest time, I wasn't looking forward to making these galettes. Once I realized that I could substitute another fruit for the cherries, however, my interest was peaked. 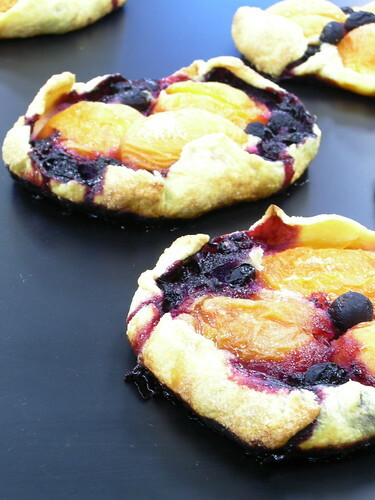 I enjoyed the blueberry apricot upside-down cake so much that I couldn't imagine not liking these. Plus, their diminutive size is so sweet and playful that I felt a little sad for having overlooked them until now. We usually only present our projects in front of our classes. However, my class and another are combining tomorrow for my presentation, so I wanted to bring something that would impress everyone. 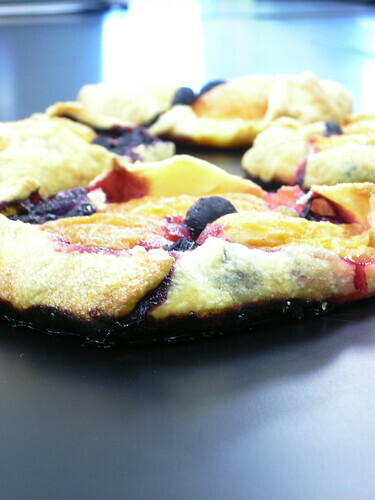 These lovely free-form tarts really fit the bill and definitely lived up to my expectations. Their flavor was ethereally light and their fragrance was wonderful as well. I enjoyed smelling their sweet scent almost as much as I enjoyed eating them. Hey, I did say almost! Preheat oven to 400. Line two baking sheets with parchment paper. Divide dough into 6 equal pieces. On a floured surface roll out each into a 7-inch circle. Place circles on baking sheets. Refrigerate until firm. Spread 2 tablespoons frangipane on each circle, leaving a 1-inch border. 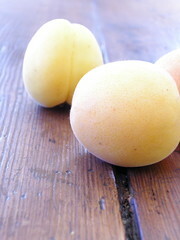 Arrange 6 apricot halves on top of the frangipane. 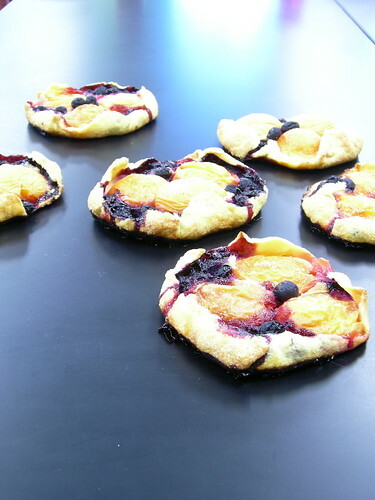 Scatter blueberries over galettes. Fold borders over fruit to contain it. Brush crusts with melted butter and sprinkle each galette with 2 teaspoons sugar. 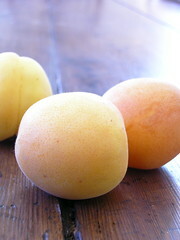 Bake for 30 minutes, until apricots have softened and crust is browned. Cool on a wire rack. Hayley this is one of your best so far. seriously saying something. I loved it! I stumbled upon your project on Tartlette, and I think it's super neat! The photography is beautiful, and your galette looks really yummy.